Polenta is one of those comfort foods and very much like pasta in that you can top it with anything, or change the flavour, depending on what you add to it. Simply cooked with either just water or stock, or jazzed up with herbs, cheese or whatever your creative tastebuds prefer, it is a great alternative to potatoes or rice. If you have coeliac disease, or you are avoiding gluten in your diet, then Polenta is a perfect option because it’s actually cornmeal. Polenta can be purchased in either fine or coarse form. The fine cornmeal will absorb liquid more quickly, cook faster and is very smooth, while coarse ground cornmeal will retain a somewhat rougher texture and takes a bit longer in the pot. Personally, I prefer the coarse ground cornmeal. It gives more visual interest to your dish. The basic recipe is simply 1 part cornmeal to 3 parts liquid and cooked on the stovetop until it becomes thick and creamy. The longer you cook it, the thicker it becomes. You can also spread it on a lightly oiled cookie sheet, or shallow pan, and cool it so that you can cut it into squares or get creative and use your cookie cutter shapes and either fry, bake or grill it. 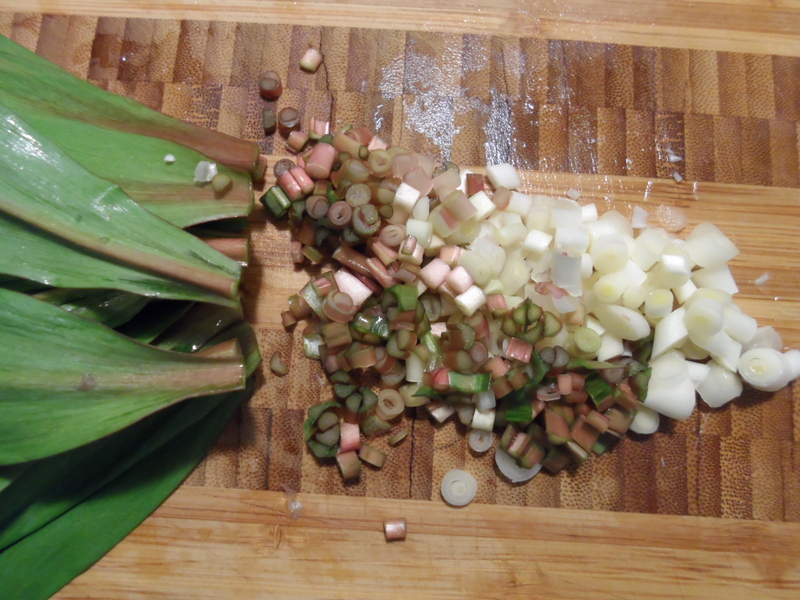 Ramps have a very short season and when they are not available, you can substitute garlic, shalots and a bit of spinach for this recipe. Remove roots from white bulb portion and discard. Finely dice the white bulb and purple portion of the ramps. Finely dice ramp greens and set aside. Heat a large heavy saucepan and add olive oil. 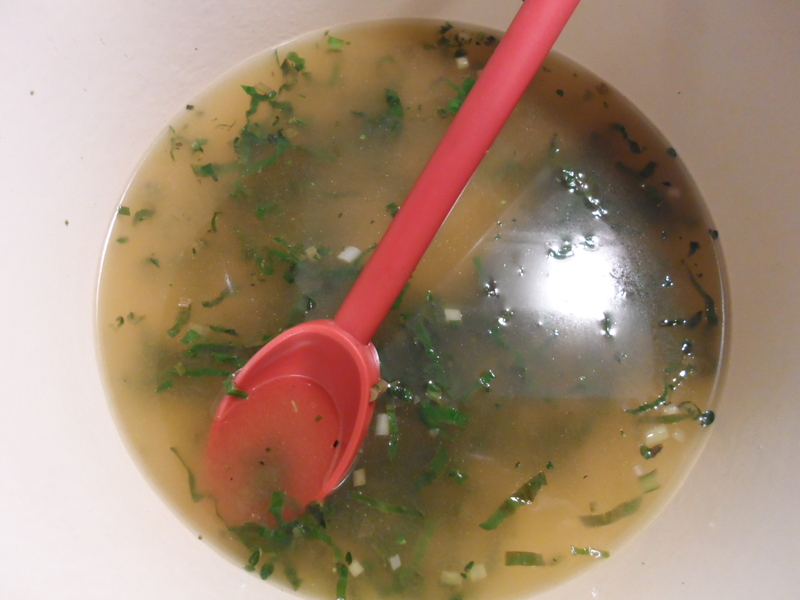 Add 3 cups of chicken stock and salt. Bring to boil. 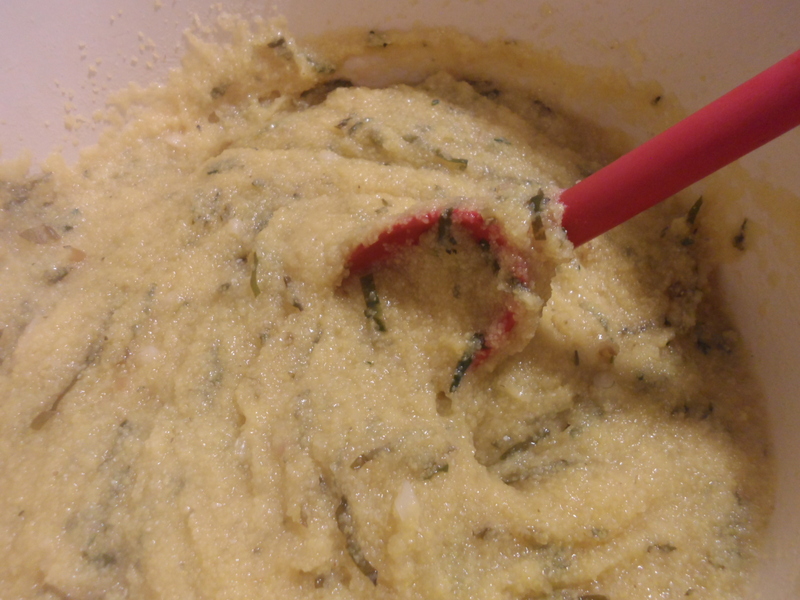 Reduce heat to medium and slowly add polenta stirring constantly with a whisk. 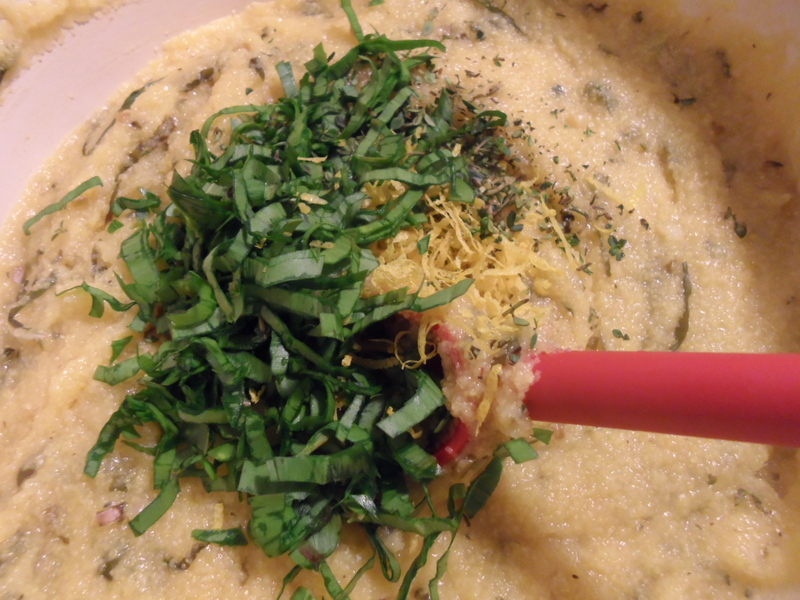 Continue to stir until polenta thickens (approximately 10-12 minutes). You may have to switch to a wooden spoon as the polenta gets thicker. Don’t walk away from it or the bottom with scorch. Keep stirring slowly. Give it a taste around the 8-10 minute mark to see if it is still grainy or almost cooked through. Add the lemon juice. Keep stirring. 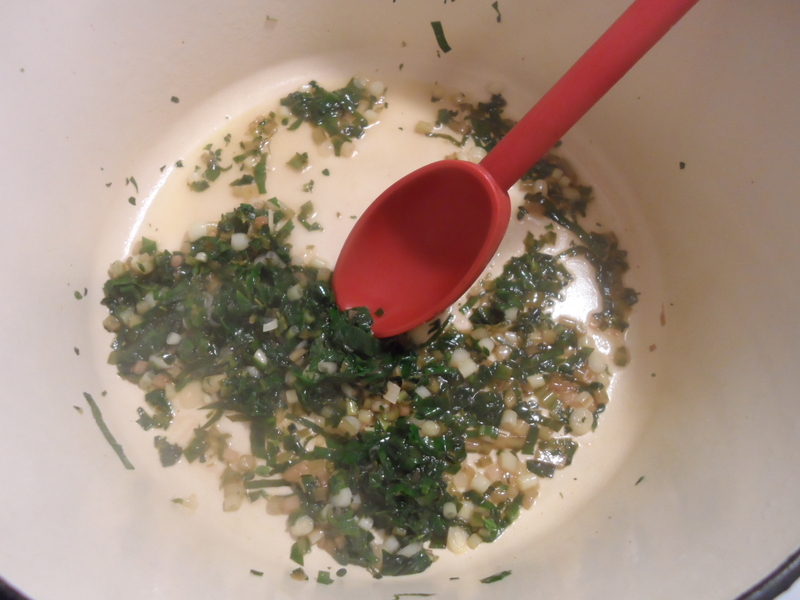 Turn off heat and add butter, parmesan, lemon zest, sliced ramp greens and stir until blended. Stir in ricotta (or goat cheese) before serving. Heat pan and add butter and olive oil. 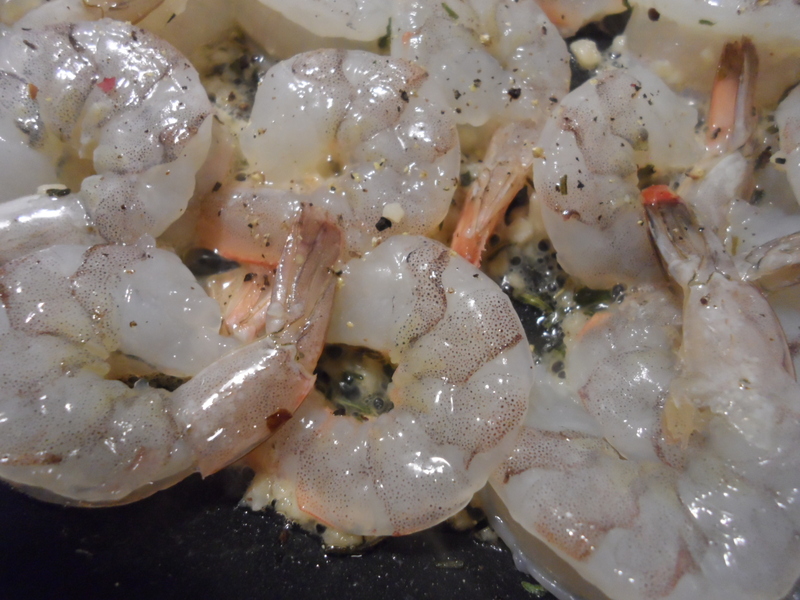 Add shrimp, a pinch of salt, a few grinds of pepper from your pepper mill and cook until pink (approx 8-10 minutes). The length of time depends on how large your shrimp are. 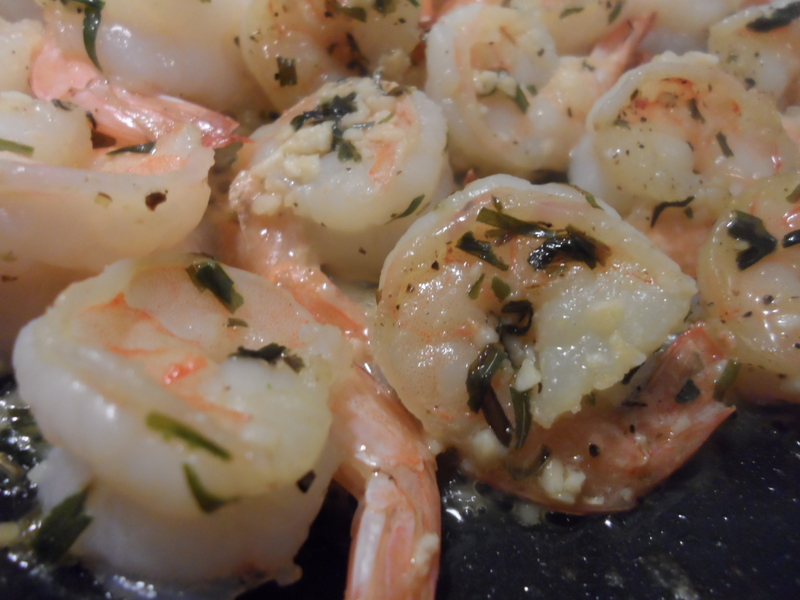 The larger the shrimp, the more time they will take to cook. Shrimp are cooked when they are a bright pink on both sides and you no longer see any grey. Remove from heat and toss in parsley. To give your shrimp a kick, you could add some HARISSA, or a few dashes of chili flakes. 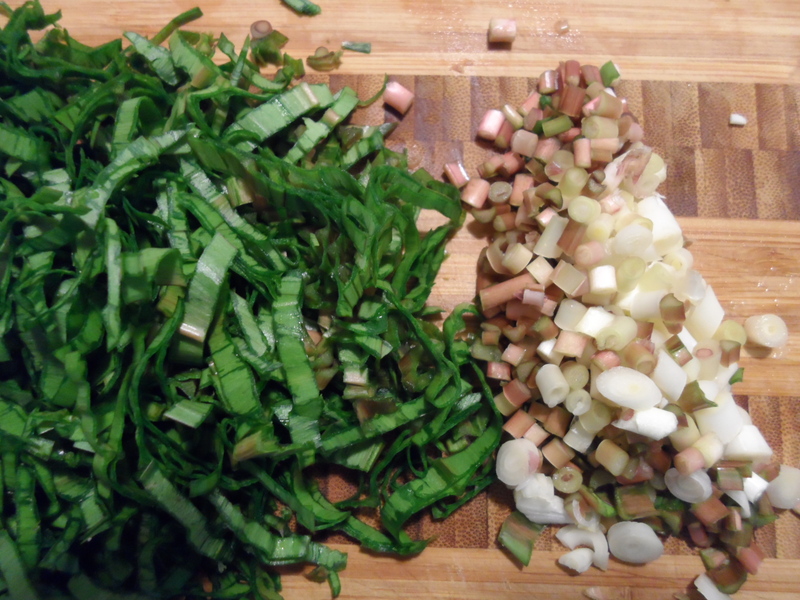 You could even add a spoonful of PESTO or of your favourite chopped up fresh herbs (tarragon, thyme, oregano). Adjust the recipe to the flavours that you prefer. 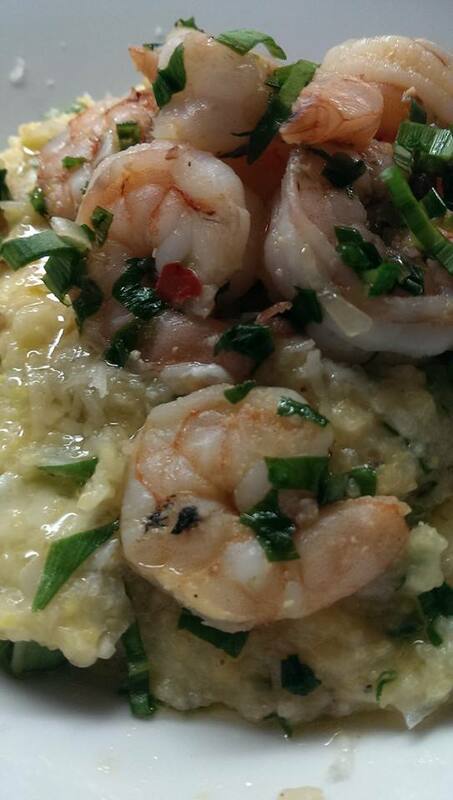 Put some polenta on your plate, drizzle with a bit of LA MASROJANA LIMON OLIVE OIL, grate on a bit of extra parmesan, add your shrimp on top, put a bit of steamed asparagus on the side and dig in!! And what would be a great ending to this tasty meal? How about some Lime Tartelettes topped with berries? 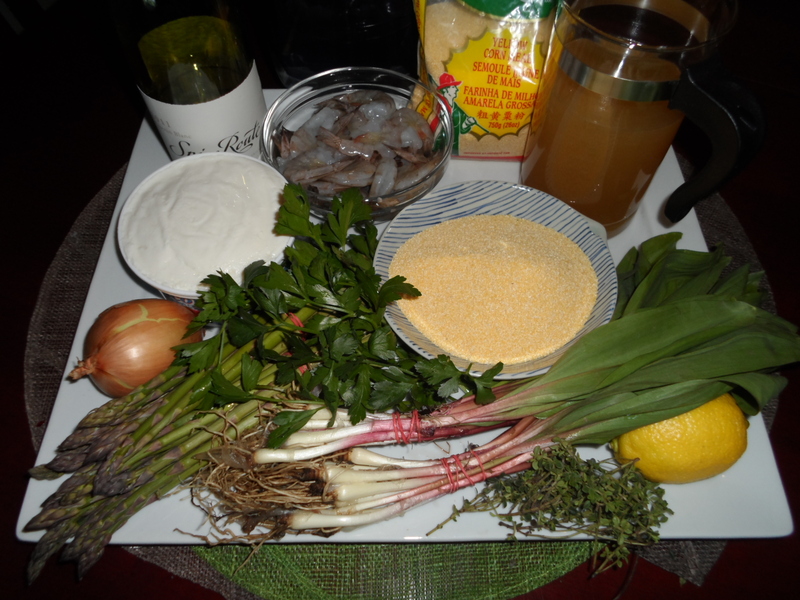 Posted in main course, recipes, seafoodTagged garlic, La Masrojana Limon Olive Oil, lemon, olive oil, parmesan cheese, polenta, ramps, shrimpBookmark the permalink.